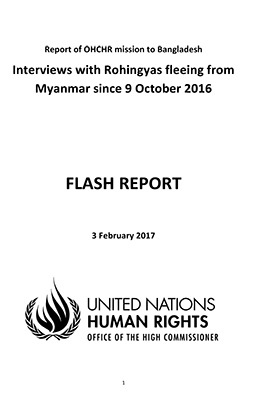 That very little progress has been made with regard to the repatriation of the Rohingyas has been amply expressed by the prime minister in her meeting with the secretary general of Amnesty International very recently. The statement of the PM’s special advisor on foreign affairs that unless sanction is imposed on Myanmar, their repatriation and a sustainable solution to the Rohingya issue are very unlikely, speaks of the intractability of the problem. One of the reasons why the Rohingya issue has resisted a permanent resolution so far is a lack of definitive and firm action on the part of the international community. 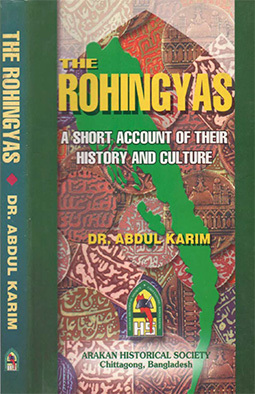 Ever since the problem resurfaced with renewed intensity in August last year, because of the policy of pogrom by the state of Myanmar against the Rohingyas, there have been no dearth of accolades heaped upon Bangladesh for the magnanimity it has shown by sheltering the nearly million persecuted Rohingyas. And the compliment from the UN secretary general was restated by him in his recent telephone conversation with the prime minister. However, we would have liked to hear what steps the UN would be taking to ensure a quick repatriation of the refugees to their homeland, to where they belong. Regrettably, Myanmar is resorting to all kinds of subterfuges to delay the implementation of the agreement between the two countries on Rohingya repatriation. 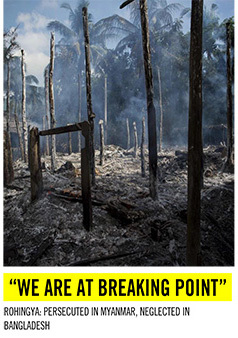 A Myanmar minister stated on April 6 that they would need more time to verify the list that Bangladesh sent them. Every day passes adding new kinds of pressure on Bangladesh. The government has decided to relocate the refugees to another place. Shifting them within the country or for that matter to some of the countries that have offered to take them may be a temporary palliative. But permanent relocation is out of the question since that would be only helping Myanmar fulfil its ultimate objective – denude northern Rakhine of Rohingyas. What is needed is a permanent solution of the issue so that the refugees can go back to a safe environment and live as citizens of Myanmar. And that is what the international community led by the UN must ensure.